Looking to enjoy a session of some competitive sports yourselves? Then challenge your mates to your very own Beer Pong game. We take bookings for Beer Pong tables every day which covers everything you need including a free jug of beer to get you started. 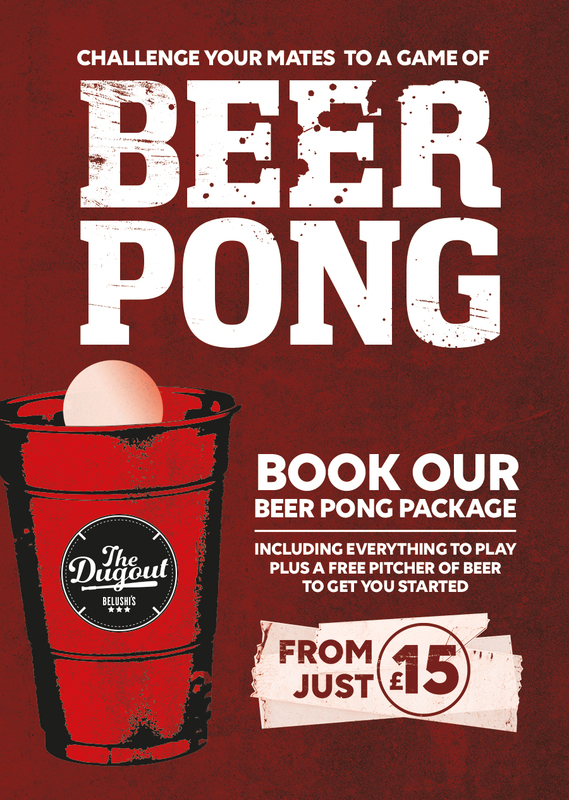 You can book our Beer Pong tables as well as our Ultimate Beer Pong Package from £15.